Cut the meat into equal pieces. Heat the fat, and then sauté the meat in a cast iron casserole dish. Once all of the meat pieces are browned on all sides, remove them from the casserole, and brown the chopped onions and diced belly pork. Dissolve the beef stock cube in ¼ liter (2 cups) of water. Put the meat back into the casserole, pour in the stock, tomato purée, peeled and sliced carrots, garlic and herbs. Season with salt and pepper, stir and leave to stew for 90 minutes on low heat. Serves: 6. Recipe courtesy of Vinadeis Winery, France. At Landure, in the cradle of Cathar history, Marielle and Luc Rouvière are perpetuating the family tradition. “We also unearthed fragments of Gallo-Roman amphorae which were used to transport wine by ship,” explains Luc Rouvière. In 1649, the Abbey of Fontfroide sold the estate’s land to one of Luc’s ancestors. More than two hundred years later, Luc’s great-great-grandfather founded the Château in 1870, during the region’s golden age of wine-making. 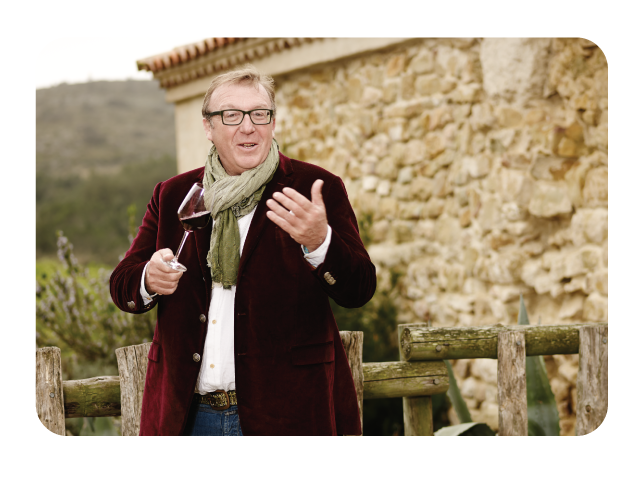 The Minervois appellation was recognized in 1985 and Luc and Marielle moved to the estate in order to continue its conversion. In 1998, Val d’Orbieu selected the couple for their top quality wines matured in oak barrels, firmly establishing their reputation. This GSMC pairs well with red meats, game and cheeses. 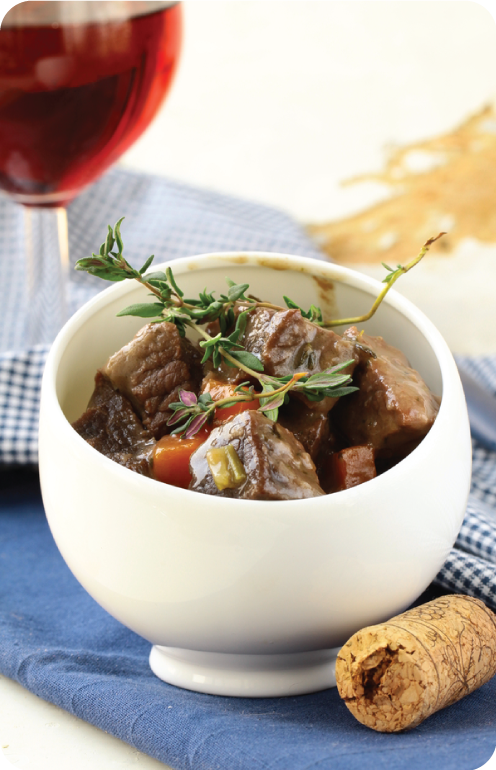 This entry was posted in Recipes and tagged beef, beef and carrots, Beef stew, braised beef, chateau rouviere, cooking with wine, food pairing, french recipe, french wine, grenache, mellow styles, mellow wine, minervois, mourvedre, olivier dauga, recipe, syrah, wine, wine club, wine pairing, wine recipe, wine tasting, winestyles. Bookmark the permalink.